If the thought of having surgery or taking prescription drugs for pain relief doesn’t appeal to you, you may be a candidate for chiropractic care from Lifetime Family Health Center in Grapevine. Our clinic offers natural, holistic chiropractic treatments for relief of pain and discomfort caused by musculoskeletal injuries or chronic conditions. Led by Dr. Jay Harrison, your preferred chiropractor in Grapevine, we provide quality chiropractic care to residents of Grapevine, Southlake, Colleyville and surrounding communities. 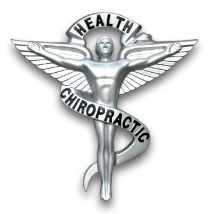 Dr. Jay Harrison is a chiropractic specialist with over 10 years of experience in his field. He and our team specialize in corrective chiropractic treatments designed to help you recover from musculoskeletal injuries. Whether you’re experiencing neck, shoulder, or back pain due to whiplash, muscle tension from overuse, or strains and sprains from sports injuries, we can help. We’re committed to providing you with an accurate diagnosis for your pain, so we can help alleviate your symptoms. We’re not satisfied, however, with only relieving your symptoms. We’ll also treat the source of your pain so you can get long-term relief. Our goal is to help you achieve full recovery from an injury so you can live the lifestyle you enjoy most pain-free. At Lifetime Family Health Center, your health and wellness is our concern. We want you to experience the full benefits that chiropractic care has to offer in whole body healing. After a thorough evaluation of your condition, we’ll be in a better position to create a treatment plan to meet your health and wellness needs. To learn more about chiropractic care and how it can benefit your health, contact Family Health Center in Grapevine at 817-310-0301 today. You’ll find our centrally located clinic easy to reach and our staff fully prepared to meet your healthcare needs.